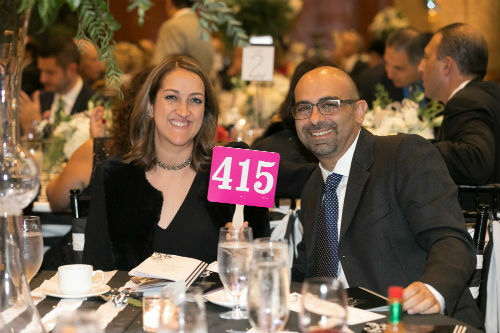 Armenian EyeCare Project » Our 2018 Black and White Ball! Our 2018 Black and White Ball! Spirits were high as we rounded out another successful year — the EyeCare Project’s 26th year of service to Armenia — with our annual Gala in Newport Beach. 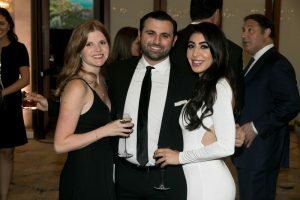 This year’s theme, a “Black and White Ball,” boasted beautiful décor throughout the ballroom of the Balboa Bay Resort as more than 250 guests arrived in black-and-white attire and enjoyed the evening’s activities organized by the Armenian EyeCare Project. During cocktail hour, guests socialized with friends and fellow supporters over delicious cocktails and hors d’oeuvres while bidding in the Silent Auction — which featured everything from weekend getaways to dining certificates to Armenian brandy and beautiful wine baskets — and enjoying performances by roving entertainers including a contortionist who twisted his body in ways no one understood! 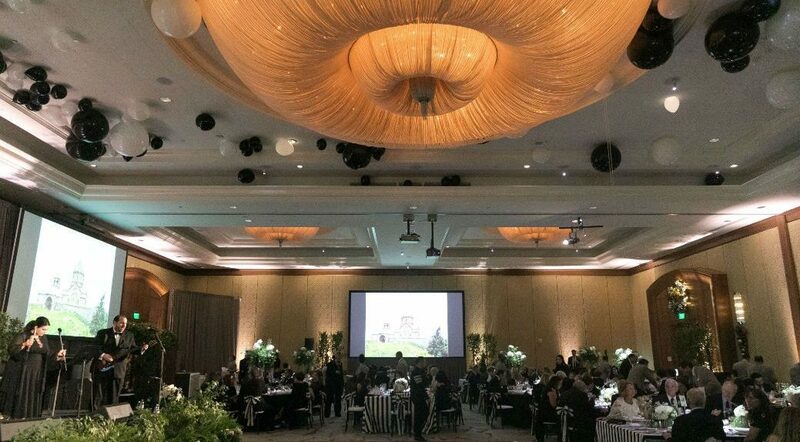 As the ballroom doors opened, guests were transported to a true “Black and White Ball” with thematic décor throughout the venue. 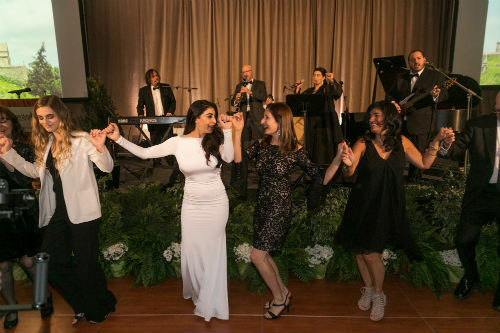 As guests sat to enjoy their five-course dinner, they enjoyed the energizing live music of the talented Hosharian Brothers Band and a thrilling Live Auction, which included an all-inclusive trip to Armenia, gorgeous diamond earrings, a wool Kazak rug handmade in Armenia and more. EyeCare Project Founder and President Dr. Roger Ohanesian also updated guests on all the organization’s recent activities throughout the year. 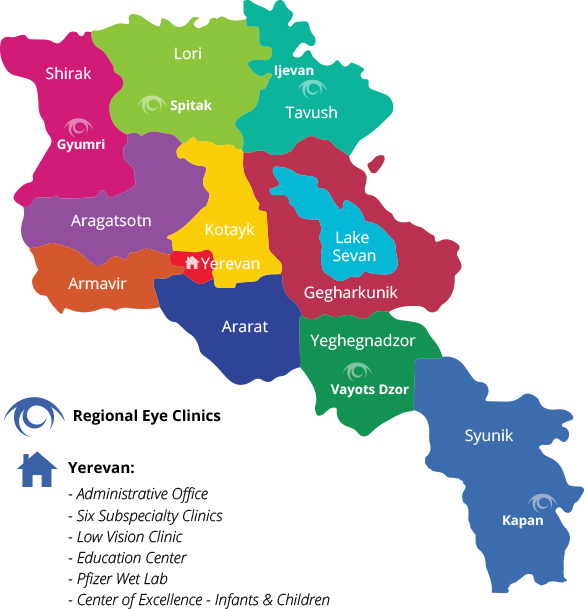 This included news of the Grand Opening of the EyeCare Project’s fourth Regional Eye Clinic in Armenia – the John Ohannes Khachigian AECP Regional Eye Clinic in Gyumri – which was unveiled during our Fall 2018 Mission Trip to Armenia. A surprise donation from Allergan! During our Gala, the EyeCare Project also honored Allergan, Inc., a global pharmaceutical leader, for its more than 25 years of generous support to our organization through financial contributions and state-of-the-art medical equipment. 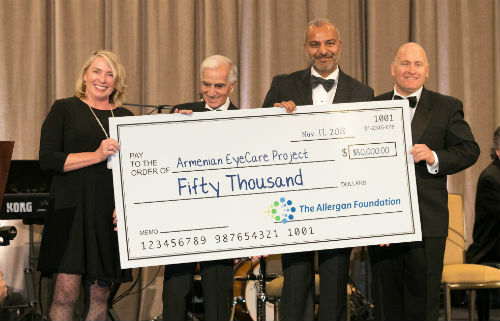 The evening concluded with a surprise donation from Allergan for $50,000, which will go directly to the EyeCare Project’s sight-saving programs in Armenia. Guests celebrated the rest of the evening with traditional Armenian dancing and take-home treats from the gorgeous, black-and-white Dessert and Candy Bar – the ideal end to a very sweet and fruitful calendar year for the Armenian EyeCare Project!